Is Fresh Produce Always the Best Choice? Some food labels can be tricky. When looking for quality, convenience, price point, and availability, there’s definitely no lack of produce options. While many shoppers automatically opt for fresh produce, sometimes what’s found in the produce aisle isn’t actually the freshest option. Fresh, canned, and frozen produce each have their benefits. So, here’s a quick rundown to help you decide the best choices for you. There’s nothing more splendid than walking through a garden with salt shaker in hand and sampling both yours and Mother Nature’s handiwork. But, if you’re purchasing fresh produce from the local grocery store, how fresh actually is that product? It’s good to ask yourself “what is fresh produce?” when considering is fresh produce always the best choice for you and your family. In order to ensure they won’t spoil on the shelves, vegetables and fruits — that are out of season — are often picked early to allow for delays in shipping time. 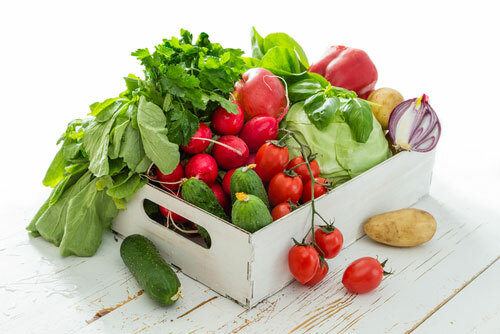 While shipping gives us the benefit of a variety of produce options, not native to any particular region, it also means the product hasn’t been fully ripened by the sun. Lack of natural sun-ripening time makes produce — everything from peaches to tomatoes — less fragrant and flavorful. Consider it fresh frozen. In this process, produce is picked fresh in season, then quickly frozen, often within hours, to preserve the natural flavor, color, and yes, the freshness of the food. Frozen fruit can be thawed and served as is, or cooked into a sauce to serve over ice cream or cake. Frozen fruit can also be added to milkshakes or smoothies to add nutrition and flavor, and added to pancake batter or muffins. Frozen fruit is a great way to enjoy peaches, strawberries, or even blueberries any time of the year, despite your locale. 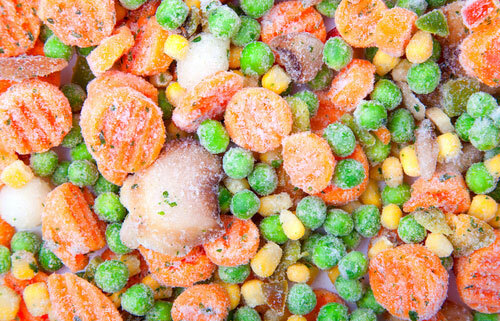 Frozen vegetables are typically blanched before freezing, to preserve the texture and prevent them from becoming starchy. Vegetables, like corn or broccoli, are perfect for adding to soups, or simply thawed and cooked the way you’d prepare any fresh vegetables. For an interesting and flavorful corn salad, just thaw a bag of frozen corn, place the morsels into a large bowl, then add a pinch of sugar, a generous drizzle of extra virgin olive oil, a dash of sea salt, a squirt of lime juice, and a handful of chopped cilantro. Then, just toss and serve. Amazingly simple and good. Canned produce is convenient and can be a great addition to recipes. Many people love the convenience of a pantry full of produce all year around. However, when choosing canned vegetables, be sure to read the labels. Many of these products contain high levels of sodium. Canned fruits often have added sugars, so it’s also wise to read these labels carefully. 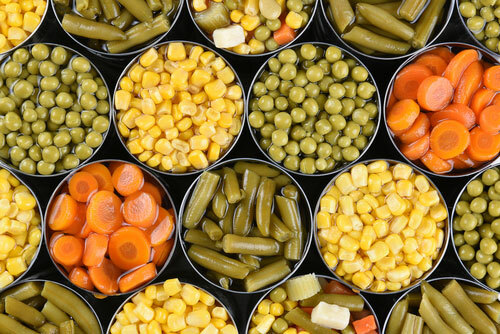 The texture is often an issue with canned produce — both fruits and vegetables. Products often lose their firmness and can become almost mushy in consistency. If you have a garden or access to picking fresh produce, doing your own canning allows you to control what does and does not go into your finished product. Plus, there’s just something about being present for the entire process — from growing to canning, to serving it at the family table. If you’re looking for authentic Greek food, made from only the finest, freshest quality ingredients, look for Lemon and Vine products in the freezer section of your neighborhood grocery store. Remember, our products are always made fresh then quickly frozen, so you can cook, serve, and enjoy them at your own convenience. Whether served as a main dish, an appetizer, or an absolutely decadent dessert, Lemon and Vine products will make you fall in love at first bite.